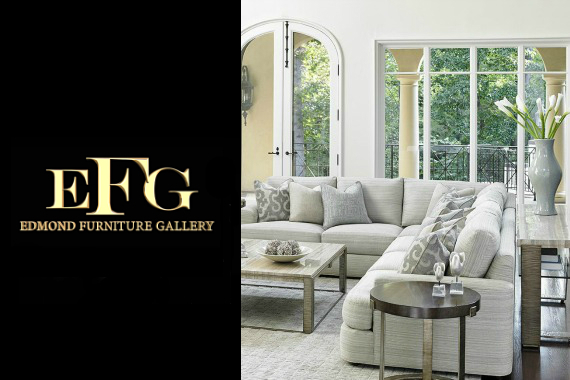 Edmond Furniture Gallery features furniture sets as well as a variety of unique pieces that will add depth and character to your home. Come visit us today. "Create a safe haven with stunning pieces of furniture that bring you comfort and joy." "What is a bookshelf other than a treasure chest for the curious mind?" "We're here to help create a space that's uniquely yours." "The living room is where we come to think, to slow down the world for a second." Michael was very knowledgeable and helpful. They had the best selection of chair style recliners in town! Great prices and selection! We have been coming to Edmond Furniture Gallery for years. Chris, Denise and Vivid always take care of us when we come in. Best quality furniture in town. Very nice to not have that pushy salesman that follows you around like the other stores. Yes, I'd like to receive news from Edmond Furniture Gallery. Sign up for the Edmond Furniture Gallery Newsletter!